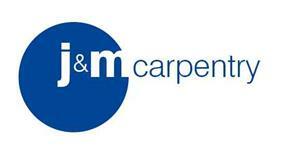 J&M Carpentry - Bedrooms, Carpenter, Kitchens based in Chertsey, Surrey. J & M Carpentry has been established since 2008, I have nearly 20 years experience as a carpenter, joiner and kitchen fitter, in recent times the success of my kitchen installations has led me to specialise in this area in now. Although I still do undertake a full carpentry service if required. The quality of our work has been rewarded by being selected to fit kitchens for 2 national brands kitchen suppliers Magnets and Homebase for the past 4 years. So I am very experienced in fitting these brands. We also fit Howdens, B & Q, Benchmarx plus many many more. Full technical survey carried out prior to EVERY installation to ensure you design fits and complies with relevant safety and legislative requirements, also advising you on any possible improvements to your new kitchen. Project management, one point of contact let me organise the job and all the relevant trades. We specialise in full kitchens refurbishment including all electrical, gas, plumbing and tiling services provided with all nessesary certifications provided where applicable. Internal walls knocked down, and full plastering service. Small kitchens installed and a dry fit service. We can also supply your new kitchen at a very competitive price with a minimum 24 month guarantee on all furniture, call us today for more information.